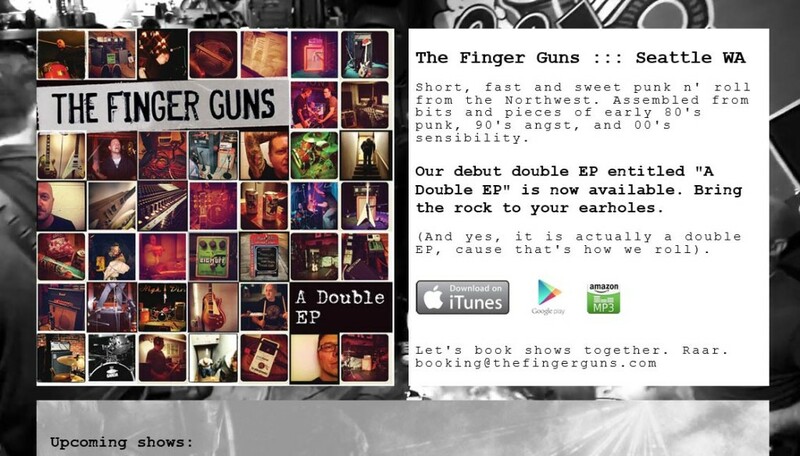 A site for the Seattle band, The Finger Guns. This simple, one page design was put into place to quickly convey upcoming shows and album release information. The added complexity was to add a running YouTube video as the background – which spans full screen.